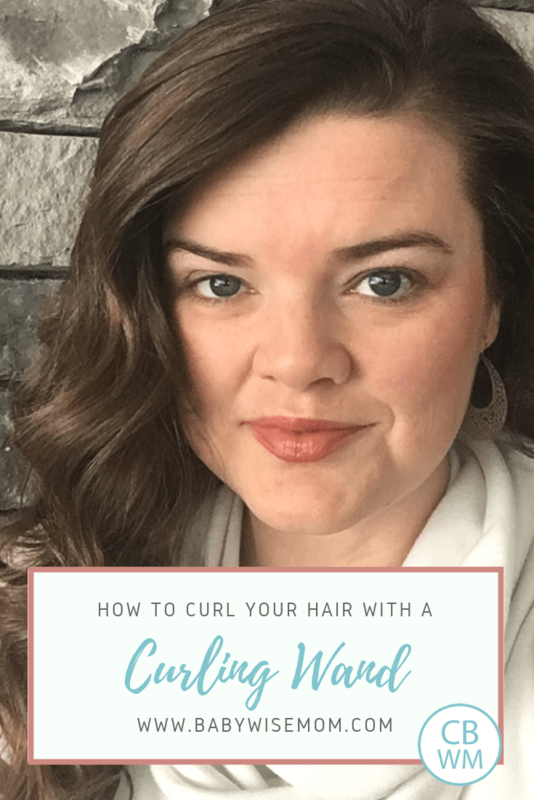 How To Curl Your Hair With a Curling Wand. A video tutorial showing you how to curl your hair using a curling wand. The results of a L’ANGE 25mm wand. When you first get a curling wand, it can be a little intimidating. Like any new skill, it takes time to develop curling wand ability. You will start out slowly and it will take you longer than you want it to. Stick to it! Before long, your muscle memory will build up and you will be curling your hair without thinking about it. As you learn, it is very helpful to watch videos of other people curling their hair. It helps to see their technique so you can copy it and use it on your own hair. With that in mind, I created this video to show you how to curl your hair with a curling wand. affiliate: Get your L’ANGE curling wand here. Use this link for a discount! Curl your hair away from your face. Many people wonder which way to curl their hair with a wand. You want to go away from your face with the hair around your face. 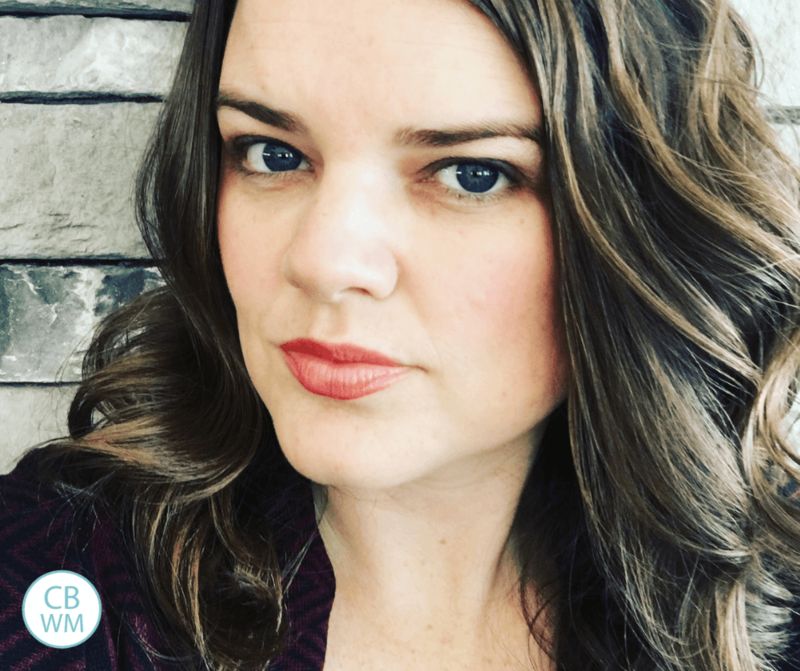 For the rest of your hair, you can go away from your face on every piece of hair or you can mix it up and go every other piece away from your face and toward your face. Just keep the hair framing your face curled away. To get curls to stay, use a hair spray or moose. Experiment and see what works best. You might even not need any additional product to get curls to hold. Experiment to see how long you need to hold the hair on the wand. This will vary depending on your hair type. I find leaving it on for more than 10ish seconds leads my hair to not hold the curl as well. This is counter-intuitive. When you are first learning, try different things to see what works best for your hair. As you finish a curl, hold it in your hand all scrunched up for a bit while it cools a little. 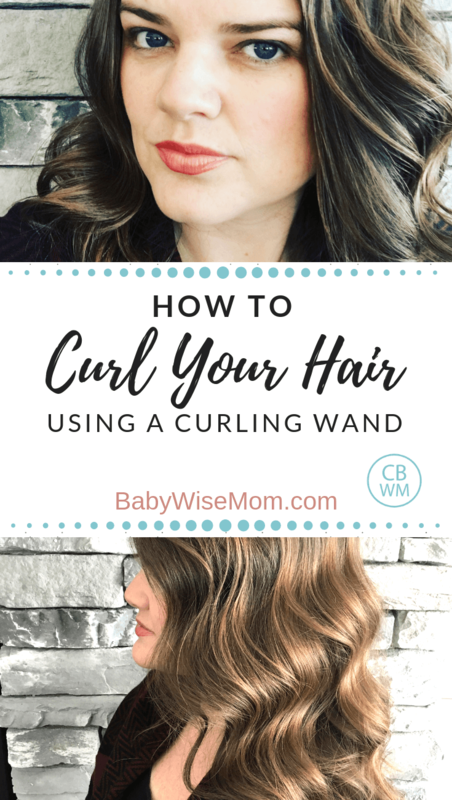 This can help hair that is harder to curl hold the curl better. Let your curls curl completely before combing your hair out. While you wait, brush your teeth, put earrings in, do a child’s hair, clean up your bathroom…do something productive so you don’t get impatient and comb before curls are cool. Use your fingers or a wide-toothed comb to comb out curls. You will see in the video that I really like products from L’ANGE. You can read all about How to Choose the Right Curling Wand For You and my L’ANGE Hair Products Review for more. Here is the video of how to curl your hair with a curling wand. I must apologize because I recorded it in portrait mode instead of landscape! Ack! I realized I had done that the day after I was done. I am using a titanium wand in this video. Click here for an incredible sale – and to get 50% off everything else —>>> http://t.ibwow.com/SHDf L’ANGE products are great for busy moms to get a beautiful, fast hair-do. If you don’t have a curling wand, you can try the same technique with a regular curling iron. You can also use a flat iron. See How to Curl Your Hair with a Flat Iron for help on that. After a brief learning period, you can have daily curls that are beautiful and long-lasting. After a little bit of practice and figuring out your own hair type, you will be able to move through doing your hair each day with speed and ease. Great curling wand! Works amazing and is gentle on my hair! Love it!